Product prices and availability are accurate as of 2019-04-18 19:02:21 UTC and are subject to change. Any price and availability information displayed on http://www.amazon.com/ at the time of purchase will apply to the purchase of this product. 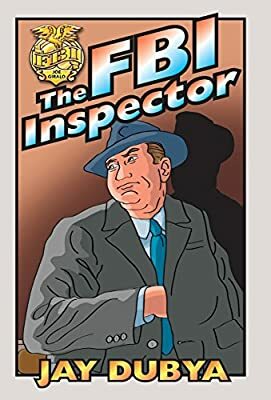 Author Bookstand is proud to offer The FBI Inspector by Bookstand Publishing. Bookstand Publishing offers books by the best indie authors throughout North America and the world. Bookstand Publishing is dedicated to offering original content to a broad audience and promoting great authors, literacy, and freedom of expression. The FBI Inspector has generated a lot of interest and excitement and we think it would be an excellent addition to your library. 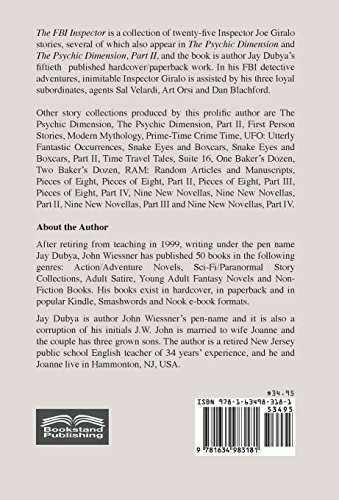 The FBI Inspector is a collection of twenty-five Inspector Joe Giralo stories, several of which also appear in The Psychic Dimension and The Psychic Dimension, Part II, and the book is author Jay Dubya's fiftieth published hardcover/paperback work. In his FBI detective adventures, inimitable Inspector Giralo is assisted by his three loyal subordinates, agents Sal Velardi, Art Orsi and Dan Blachford. Other story collections produced by this prolific author are The Psychic Dimension, The Psychic Dimension, Part II, First Person Stories, Modern Mythology, Prime-Time Crime Time, UFO: Utterly Fantastic Occurrences, Snake Eyes and Boxcars, Snake Eyes and Boxcars, Part II, Time Travel Tales, Suite 16, One Baker's Dozen, Two Baker's Dozen, RAM: Random Articles and Manuscripts, Pieces of Eight, Pieces of Eight, Part II, Pieces of Eight, Part III, Pieces of Eight, Part IV, Nine New Novellas, Nine New Novellas, Part II, Nine New Novellas, Part III and Nine New Novellas, Part IV.